Wanted: a wine that is soft and rich, with a touch of sweetness, but not sweet sweet, to warm up the winter. It should pair well with cold weather comfort foods, drink well on its own, not break the bank, and come with a fun label. 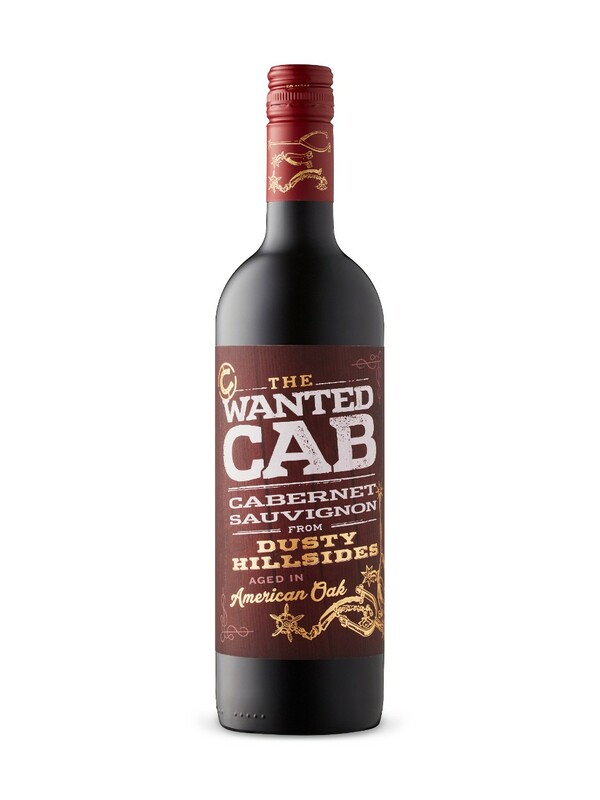 This week’s wine, The Wanted Cab, ticks all those boxes and is a new addition to LCBO shelves. Tasting Notes: Made with 100% Cabernet Sauvignon, The Wanted Cab hails from southern Italy but its style comes straight from California, like a cowboy roaming the Italian hillsides. Fruit forward notes of red berries and blackberry jam, dark chocolate, vanilla and oak spices lift from the glass and linger on the palate. Soft tannins and juicy, balanced acids complete the finish and round out this ideal winter wine. Enjoy With: Grilled beef and lamb, hearty stews, pizza and aged cheeses. Style: A dry, medium-bodied red wine. Terroir/Region: The Wanted Cab comes from the sun-drenched Italian vineyards of Puglia (the heel of the boot) and Sicily (the island balancing on the toe of the boot). In both regions, hot, dry conditions push the Cabernet Sauvignon vines to produce ripe, concentrated grapes while sea breezes keep them cool enough to have a balanced acidity. In short, these are the lands of very ripe grapes and soft, juicy red wines. Producer: The Wanted Cab was created by the team at Orion Wines. Although they employ 6 winemakers (wow! ), creating a Swiss-army-knife-like winemaking team, Orion Wines was founded by three veterans of the global wine trade with a simple philosophy: produce the best and most interesting wines possible at fair prices. They knew exactly what we wanted. Availability: The Wanted Cab can be found in the Italy section of your local LCBO and if you wanted a little more, buying a bottle gets you 10 Bonus Air Miles until February 2!